SEOUL -- Marvel, an American entertainment company owned by Walt Disney, joined forces with Hyundai Motor to produce the special edition of an Iron Man-themed compact sport utility vehicle (SUV). This is the first vehicle to be designed after a Marvel superhero. Marvel produces media contents such as comic books, films, TV dramas featuring a lineup of superheroes and villains. Ironman is one of the most popular Marvel superheroes, portrayed in a series of hit films starring Robert Downy Jr.
"By collaborating with Marvel, we will introduce the Iron Man edition of Kona for the first time in the world," Hyundai said in a statement on Thursday. Designers were inspired by Iron Man's armor and created a special edition of Hyundai's Kona compact SUV. The concept of a Hyundai-Marvel crossover SUV was first unveiled in Seoul in June last year. 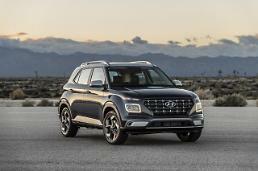 Hyundai said special points were added to the exterior and interior of the concept SUV to attract Marvel fans. Inspired by the 1963 original design of the flying armor, designers from Hyundai and Marvel have worked together to create the dark gray-colored SUV with points in red to resemble the modern version of the Iron Man suit. Hyundai said the side was decorated with metallic badges symbolizing the superhero and wheels were adorned with wheel caps in the shape of the Iron Man helmet. Seats were embroidered with an Iron Man logo and a specially designed head-up-display (HUD). 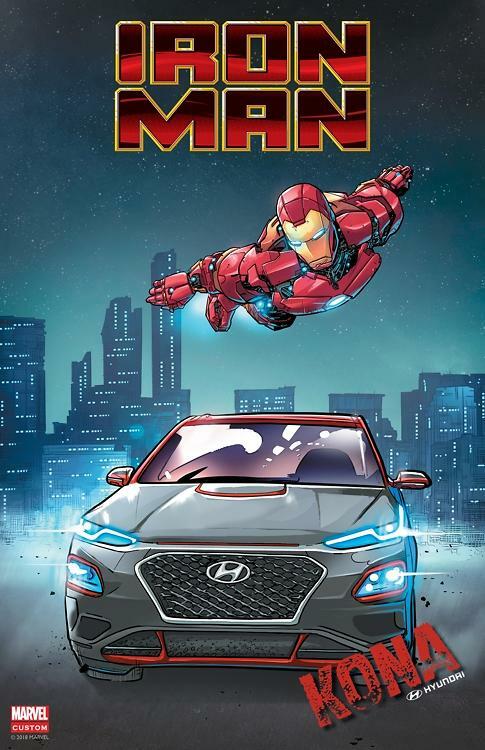 Hyundai said it chose Kona to bear the design of Iron Man because the SUV was created as an Urban Smart Armor, optimized to match the urban lifestyle of consumers. The Iron Man SUV will be unveiled at the Comic-Con 2018 in San Diego at 1900 GMT Thursday (local time). The custom-built SUV will be produced by order through a special worldwide event which will take place early next year. 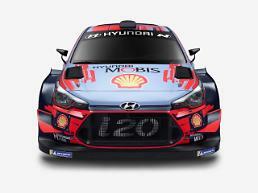 To maintain its scarcity, Hyundai will limit orders to a single event.